Jim Bray, Pacific Coast Energy public affairs manager, next to cyclic steam injection wells. Since Plains All American Pipeline shut down Lines 901 and 903 in May after the Refugio oil spill, Pacific Coast Energy is one of only a few oil producers in the county able to get its product to market. 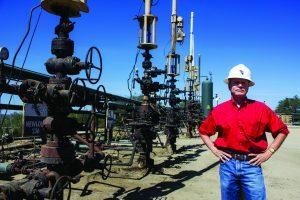 The Orcutt-based business, which operates under its Los Angeles-based parent company Breitburn Energy, is trying to add 96 new cyclic steam injection wells throughout Orcutt Hill. Pacific Coast is expanding while other Santa Barbara County oil companies have completely halted oil production. Pacific Coast already produces about 3,300 barrels of crude oil per day from its existing 96 steam injection and 200-plus conventional wells (not all active) on Orcutt Hill. It is the largest onshore oil and gas producer in the county and one of its largest property taxpayers. While the expansion would only add a combined 100 construction and drilling jobs, according to the draft Environmental Impact Report, it would bring in an additional $2.8 million in taxes to the county each year, the company estimates. But the project still has to overcome environmental concerns heightened by the Refugio oil spill and the drought. The drilling process for new oil and gas wells would require about 12,600 gallons (300 barrels) of freshwater per well sourced from offsite groundwater wells in Orcutt, according to the EIR. The new wells would tap into diatomite — chalk-like, fine and porous rock between 700 and 1,100 feet below the ground. The beige-colored, oil-rich sedimentary rock formed from fossilized hard-shelled algae lines the Santa Barbara County coastline. Steam, created from non-potable water used in conventional drilling operations, is injected into the well for several days to heat the thick-as-molasses diatomaceous oil and get it moving. It is left to soak for a few days, the well is opened and the oil, gas and water naturally flow up the well into pipelines to be processed. Pacific Coast uses an electric pump to increase the flow before steaming it again, which has made the process much more efficient, according to Jim Bray, Pacific Coast public and government affairs manager. The company treats the steam that isn’t used to remove the gas and oil and injects it back into the formation to complete the three- to five-week cycle. Times during a recent tour of its oil field. What once required six barrels of steam to produce a barrel of oil now only needs three, he said. Total new greenhouse gas emissions are expected to be approximately 39,700 metric tons of carbon dioxide equivalent per year. 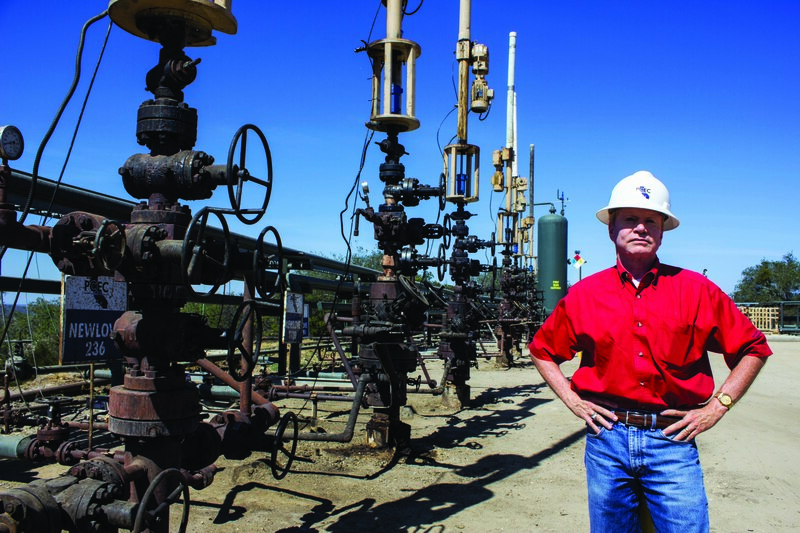 The existing and proposed pipelines that transport oil from Orcutt to the privately owned Phillips 66 Sisquoc Pipeline have automatic shut-off valves, said Phil Brown, Pacific Coast district manager. The valves automatically trigger if the pressure is too high or low, unlike Line 901. While Pacific Coast staff constantly monitors the pressure and temperature of the wells and pipelines, among other variables, the California Division of Oil, Gas and Geothermal Resources inspects the lines monthly. Pacific Coast also injects probes into the pipes each month to measure corrosion, Brown said. The project also includes 7,400 feet of new above-ground pipelines, similarly designed to its current network of sprawling pipes that sit atop cement stands and run more than a mile through Orcutt Hill, which would funnel the crude to the Phillips 66 line that connects to its oil refinery in Nipomo. Santa Maria-based operators Greka Energy, Santa Maria Energy and ERG Energy rely on trucks rather than pipes to move crude to the Philips 66 pipeline. Freeport McMoran sends the oil produced from Platform Irene and the onshore Lompoc Oil Field through pipes to the Phillips 66 line. But that is only a fraction of its total production; the majority relies on Line 903, which shut down in May. Both ExxonMobil and Venoco have halted their entire production because they move their oil through the Plains pipelines. They are stuck until lines 901 and 903 come back online, for which Plains does not have an estimate. 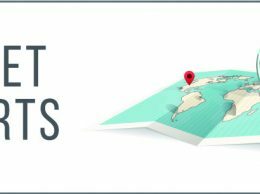 California is losing out on anywhere from $500,000 to more than $1 million in monthly royalties, Zach Shulman, Venoco’s director of corporate finance and investor relations, told the Business Times in July. Thus, the state relies on about 40,000 barrels of imported oil a day, said Bob Poole, Western States Petroleum Association vice president of upstream campaigns. The Santa Barbara County Planning and Development Energy Division is reviewing the EIR but it does not have a timetable for its completion. After the EIR is finalized, it would go to the planning commission. The board of supervisors would review the project if it is appealed. Bakersfield-based Aera Energy is also waiting to hear back from the county regarding the redevelopment of its East Cat Canyon Project and drilling 296 steam injection wells near Santa Maria. Pacific Coast has been drilling Orcutt Hill since 1901. It has produced 775-plus wells and more than 180 million barrels of oil. It started regularly drilling diatomite in 2007.